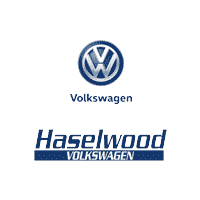 Here at Haselwood VW, our team of VW Specialists is committed to service excellence. We approach fixing your VW vehicle with passion and a commitment to getting it right the first time while using our state of the art diagnostic equipment to fix your vehicle. Follow the links to schedule service online, view coupons, and more! Manufacturer recommended parts are an important part of maintaining your vehicle’s optimum performance. Haselwood Volkswagen of Bremerton offers a full line of VW parts and accessories, everything from roof racks to all-weather floor mats, all at competitive prices. "Great people and service. Performed a recall on glow plugs that was 5 years old." Our VW certified service technicians take great pride in providing unsurpassed workmanship to keep your VW running in top condition.